Streamers with the following patterns: black and red head, white and red head, and brown and white belly. 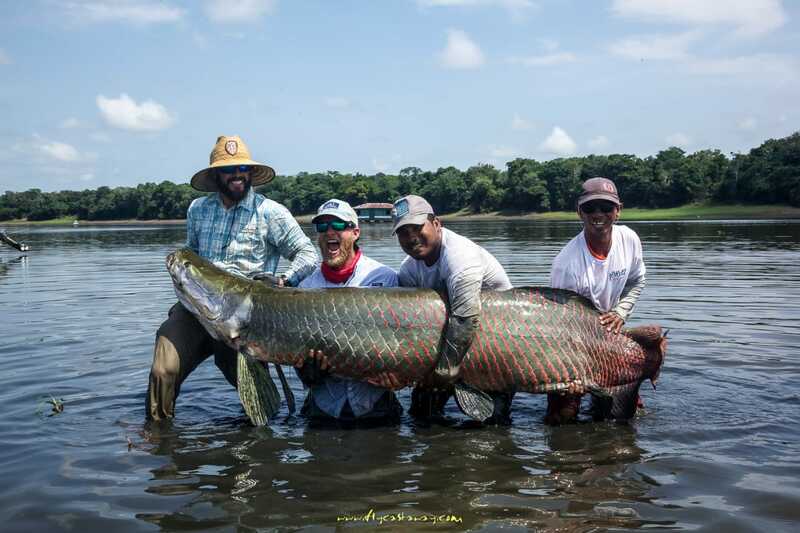 Water levels were very low, and arapaima were caught mostly with floating and intermediate lines. 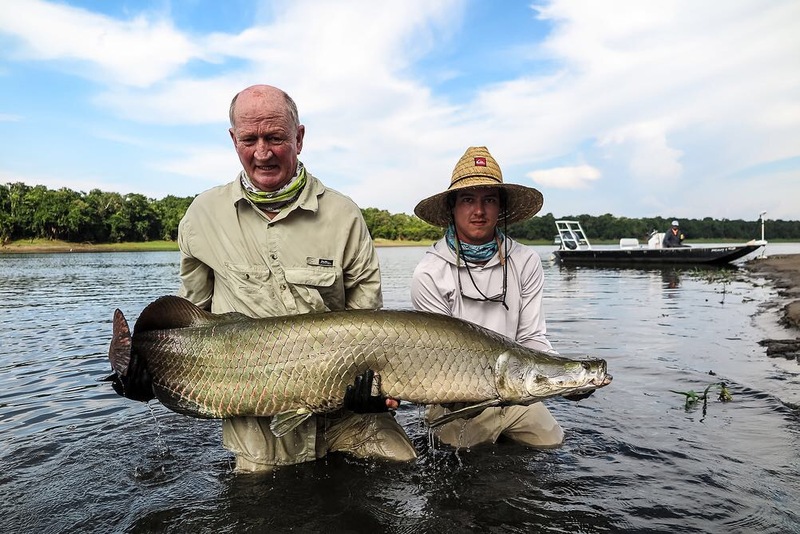 Tim, the host from Fly Castaway, caught two of this week’s biggest fish — one reaching 2.37m and another at 2.33m. Another noticeable catch, by Dirk, reached 2.23m and weighed more than 200 pounds.